WOW! This is an absolute steal of a deal. 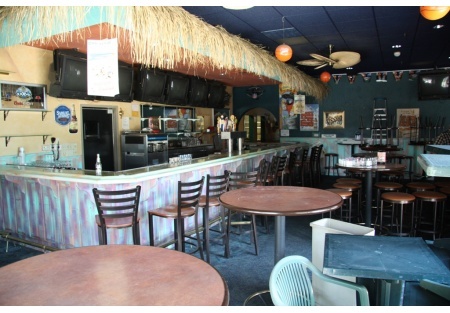 SellingRestaurants presents this large format turn-key restaurant and bar for lease with nothing down other than the rent deposits and a landlord willing to work with you. This restaurant should be the major anchor of the center and you'll need to come to the table with that in mind. The lease includes the rental of all the equipment. If you're looking for a large format with a full bar (you need to bring your own liquor license), outside tree-covered patios, large kitchen with double-sided hood system for high volume cooking, a banquet room, walkin coolers, Beer Cooler, large office space, beautiful awnings, beautiful beach style bar plenty of seating for hundreds, then this is it folks! There is plenty of parking in this center. When you visit the center you'll need a vision of turning this restaurant into the center's anchor tenant. With 6,300 Sq. Ft. restaurant plus a 2,000 Sq Ft. patio this place was designed to do $3+ million per year and it could do it if you have the right concept. The neighborhood has a combination of high income customers as well as medium income customers. It has the potential to be a club as well with the large outside patios and large dining and banquet area. This is a NNN lease where the tenant pays for all common area maintenance, taxes and insurance. The landlord will give you free rent to help you get the business off the ground. So if you've got the experience of turning these type of places into a gold mined, then call me and let's make a deal happen.